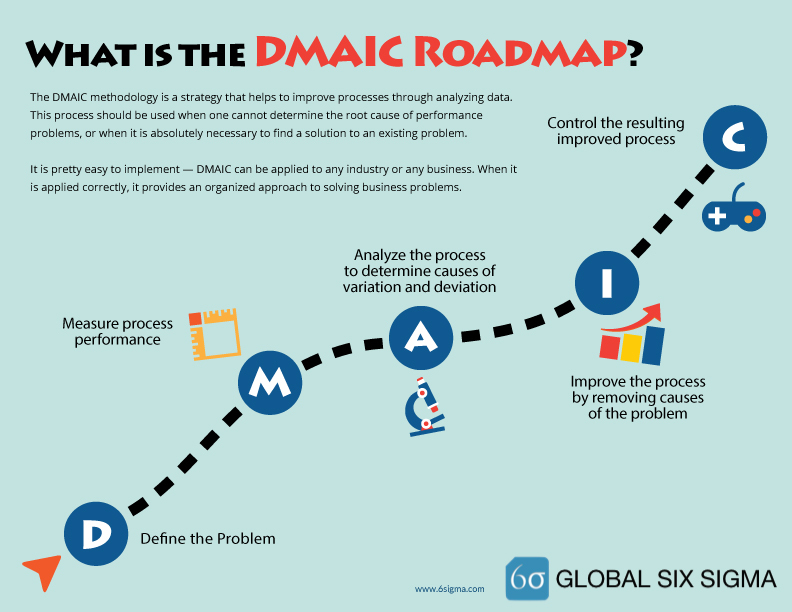 [INFOGRAPHIC] What is the DMAIC Roadmap? Are the processes at work the best they could be? In other words, are the everyday tasks that you do to make the product or service absolutely without waste of time or material? The best way to find out is by using the DMAIC template. This is by far the best method to cut production time or variances. This can be used in any industry and on all work processes. View the infographic below and try it for yourself! For more information on our Lean Six Sigma courses and services, please visit 6sigma.com.